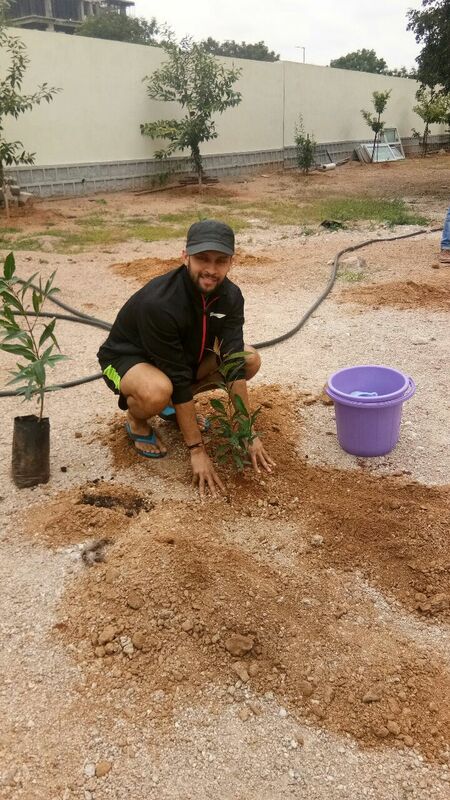 In a world where concrete jungle is replenishing the natural beauty of the wild and depleting natural resources, Igniting Minds have initiated a thoughtful movement of planting saplings. The movement of encouraging enriching greenery by taking up the #GreenChallenge on social media is indeed working wonders. From politicians to celebrities and sportsmen, everyone coming forward to support the cause, our great Indian National Chief Badminton Coach Gopichand is not left behind. 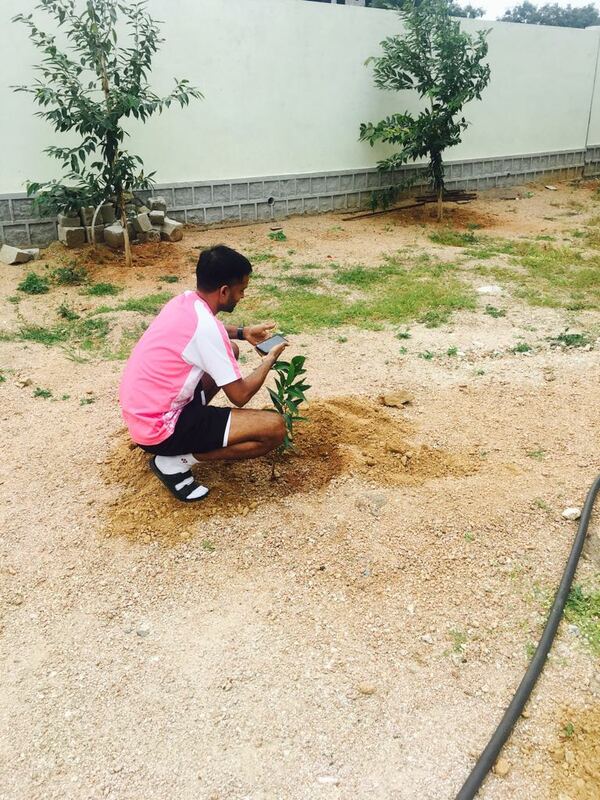 The crusade put together deliberately to enlighten and educate the masses about importance and significance of natural resources, by planting one sapling at a time. 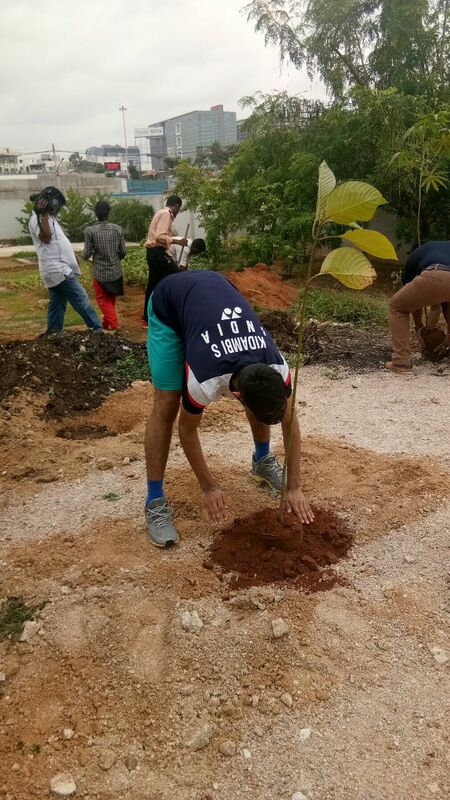 Early yesterday morning, Gopichand with his squad Kidambi Srikanth, Parupalli Kashyap, Sai Praneeth planted several saplings in the backyard of Sai Gopichand Academy, Hyderabad. The noble initiative was a challenge tweeted by Mr.S.S. Rajamouli. Gopichand has further nominated Shri Narendra Modi, Mr. Rajyavardhan Rathore, Akshay Kumar, Rajesh Kalra and Abhinav Bindra to take up the #GreenChallenge and further promote it within their network. Are you a nature conservationist or nature lover? Whatever your reason may be, come forth and be a flagbearer of this social cause. 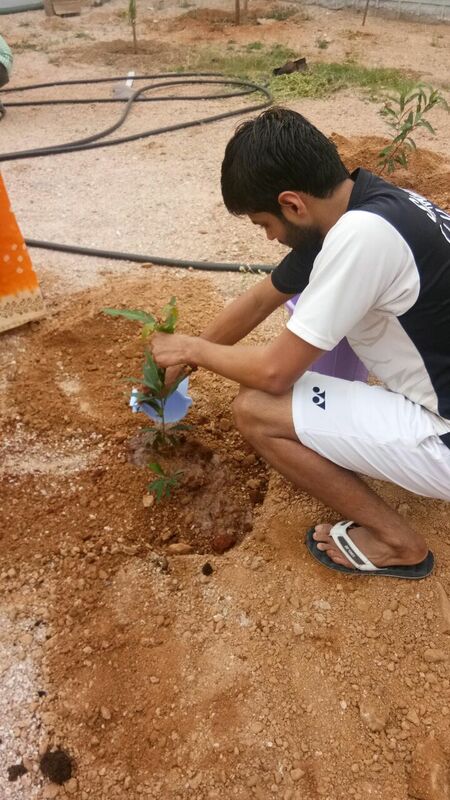 Plant a sapling in your neighbourhood and raise the awareness for #HaraHaiTohBharaHai initiative. Let your home resonate of greens and colourful flowers.